Unhealthy foods just seem to be everywhere, from your favorite hawker stalls, to even right next to the health foods section at your nearest supermarket in Singapore. And with a hectic schedule that leaves you drained, they can be even more tempting to buy. This is the challenge of creating a healthier grocery list, which can be especially difficult if you’re just starting out on your commitment to a proper balanced diet. But it doesn’t have to be so difficult. Even though you want to try out lots of different foods when you’re just starting out, there’s a good chance you won’t like some of them. The last thing you want in your fridge is something that you don’t like, simply sitting there until it spoils. 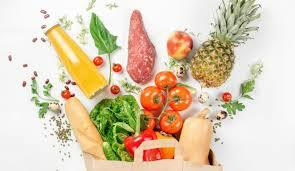 Trying out just a few new foods each time you go grocery shopping is a great way for you to introduce yourself to the vegetables and fruits you’ll like. If you’ve mostly stuck to processed foods during every grocery trip and need a drastic shift on what you buy, think of the healthy foods you’re most familiar with instead of the ones you’ve simply heard about. Your grocery list is your best friend that keeps you from mindlessly putting items in your cart, and even keeps each trip stress-free. There are many ways you can keep it organized. For instance, you can do so depending on the way the groceries section of your nearest supermarket is laid out. Another way to organize your list is by breaking it down into categories. 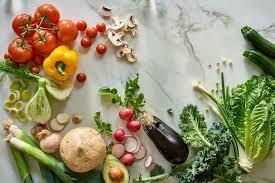 These categories can be based around food types, such as vegetables, fruits, carbohydrates, or even condiments and beverages. If you’re really having trouble avoiding the sweets that you’re used to having, you can also avoid leaving any space for these desserts on your list and prioritize the fruits and vegetables first. Now that you have your grocery list, stick to it! It’s there for a reason, and it’s to keep you from having to spend impulsively based on discounts, promos, and advertisements in the supermarket. If you still find yourself getting sidetracked (deep discounts and eye-catching displays can be quite hard to pass up), ask yourself if the item fits into your meal plan. If it doesn’t, move on. At the end of the day, there are a lot of ways to plan your grocery shopping to include both healthy foods and even the occasional dessert if you fancy yourself a sweet tooth. 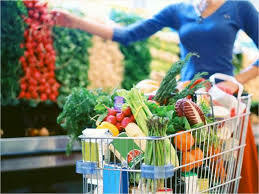 But by going into the supermarket or grocery store with a clear purpose and intention, you’ll find that shopping for your meal plans doesn’t have to be too time-consuming or confusing.